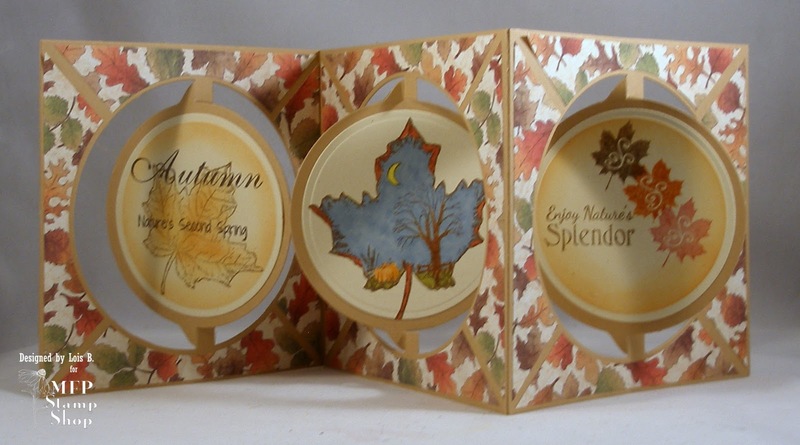 Join us each day, September 22 - 25, for Autumn Time Fun. We'll have tutorials and DT inspiration. There will be prizes for leaving comments on the Design Team members' blogs and prizes for trying our tutorials. You will have two weeks to add your project to the September 25th post for us to see, so there will be no excuse not to join in the fun! 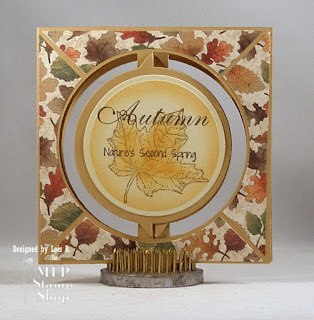 You could win one of the MFP Stamp Shop FALL STAMP SETS Just comment on the participating blogs (don't forget this one) each day for more chances to win! (You do NOT need to comment on on all the blogs each day! The names are drawn randomly.) 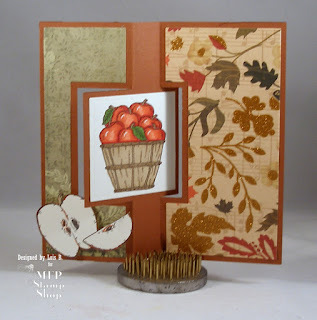 Try one of the tutorials shown during the Hop and add your photo to the Inlinkz at the bottom of the MFP Stamp Shop Blog post. 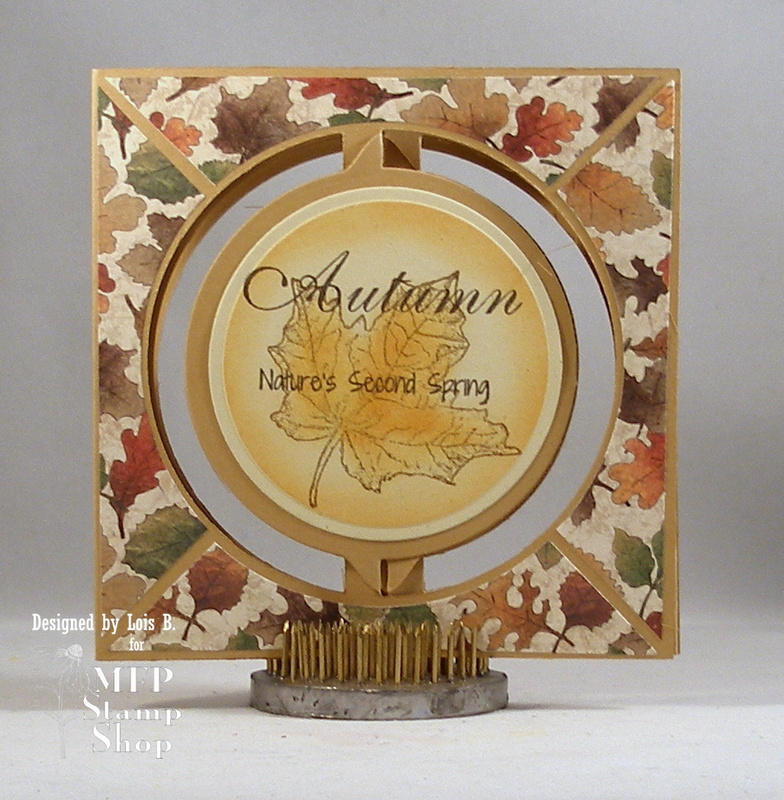 The winners will be announced on October 10, 2015, on the MFP Stamp Shop Blog. You can go back and comment if you missed a day. (HINT: The more you comment the more chances you have to win. And comments on the MFP Blog count twice.) 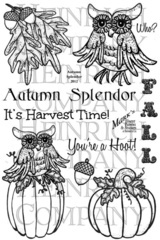 The deadline for commenting and posting pics of your projects is Friday, October 9, 2015, at 10:00 PM EST. 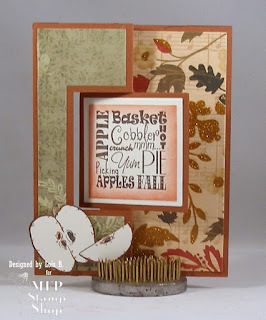 Well, we made it to the final day of the Fall Blog Hop, and I have a fun card for you today. It's a stand-up, easel-type card with a bobble spring on it. The images are from the MFP Stamp Shop set I Am Thankful. Now that's what I call "movement" !!! 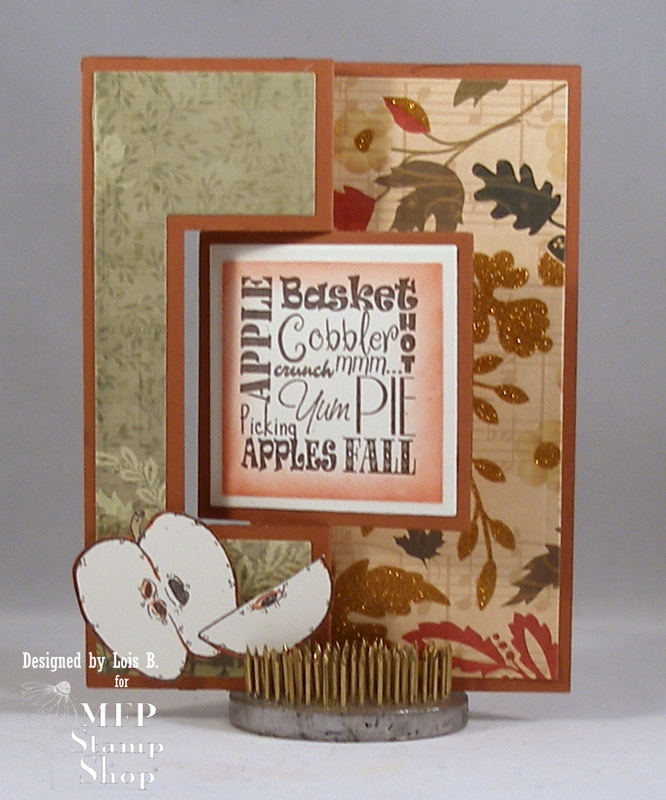 This set is available at MFP Stamp Shop. Here's the Design Team. 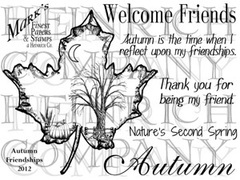 Check out their blogs and comment often for a chance to win a free stamp set. on October 10th to see if you are a winner. 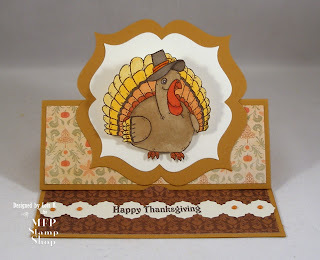 Today is the last week of my month-long hosting of the CCEE Stampers Blog. 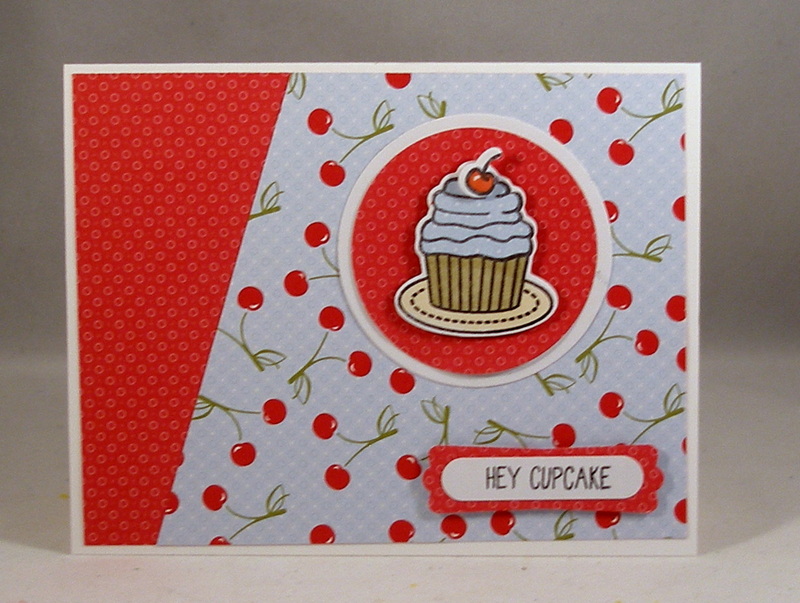 In honor of National Cherries Jubilee Day, I asked the team to make a card with cherries on it; or, if they didn't have any cherries, they could use any fruit. 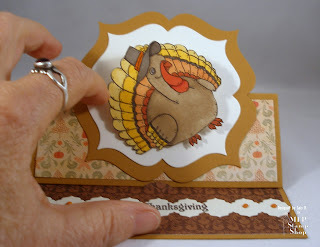 I pulled out some old Stampin' Up designer paper and some new Avery Elle stamps to make my card. 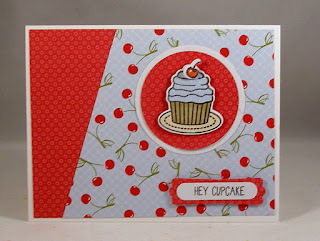 Stop over at the CCEE Stampers Blog to see what the rest of the team has for you today. Today I have a wiper card to show you. 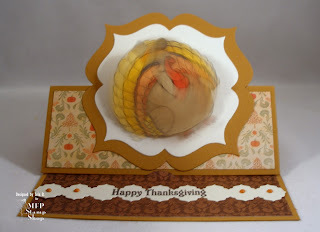 The movement happens when you pull the edges of the card and the sentiment pops up. 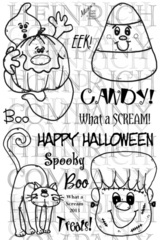 My ghost image and Boo on the wiper are part of the set called What a Scream. 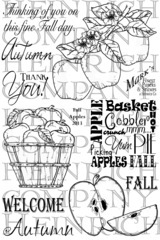 The rest of the design is all patterned paper. 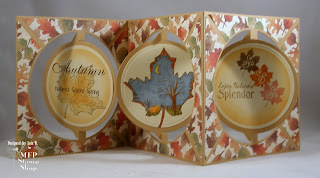 My card today is an accordion card, in which I used images from Autumn Friendships and Autumn Glory, along with some autumn patterned paper. 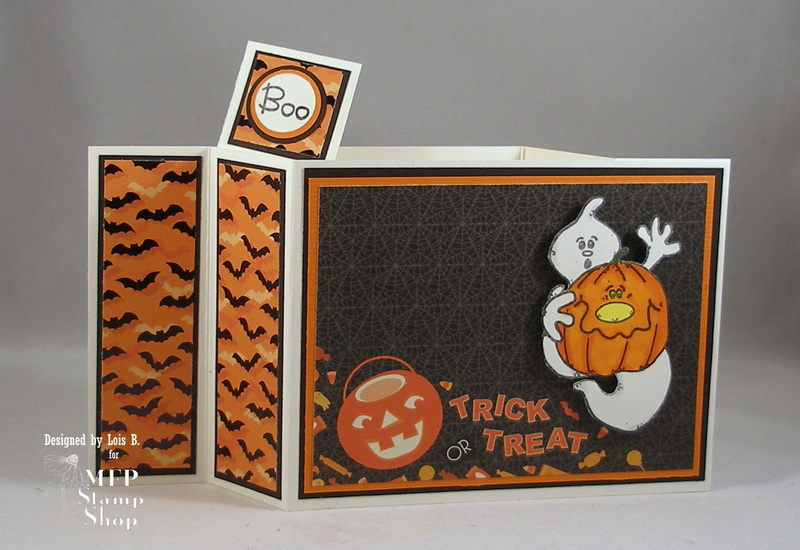 Here are the two sets used on this card. 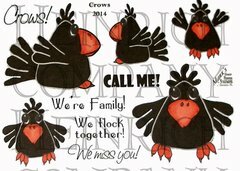 They can be found at MFP Stamp Shop. 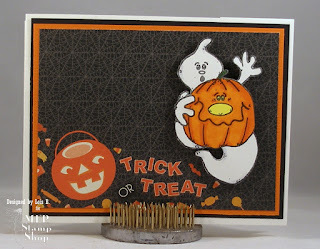 I will have sort of a theme (besides Fall) throughout my blog posts this week. Each card will have some sort of movement. 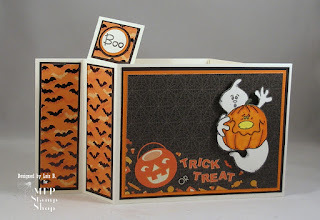 My card today is a simple flip card. 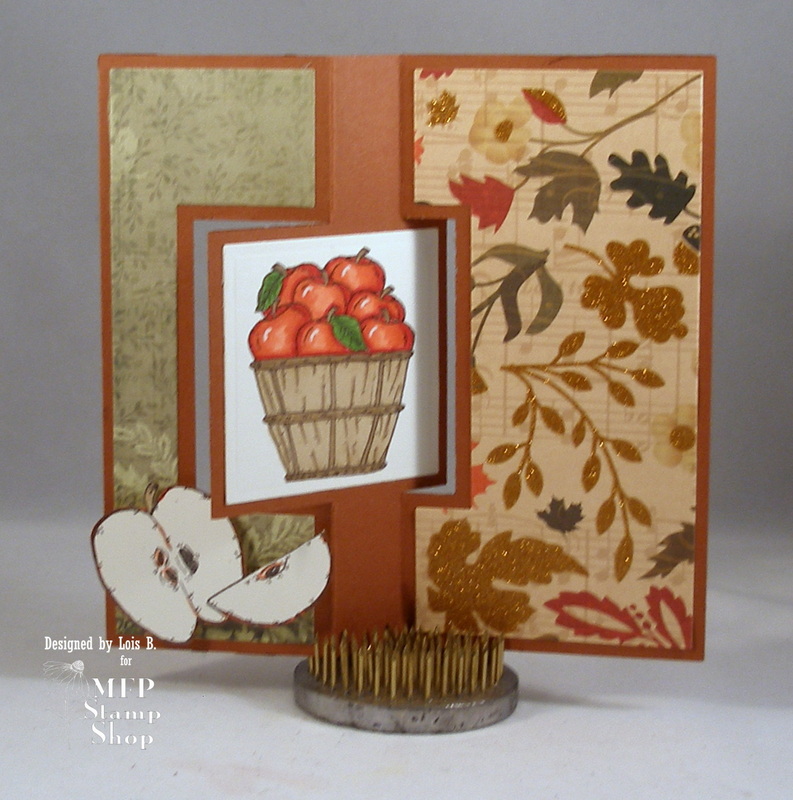 I used some fall designer paper and images from the MFP Stamp Shop set Fall Apples. Here's the stamp set used on this card. 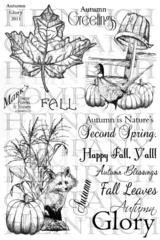 Find it at MFP Stamp Shop.